Anyone that has ever been to Japan, and probably a few who haven’t, will tell you that Japanese cell phones are pretty much as awesome as they come. They’re always at the forerunner of the latest and greatest technology, with high-quality cameras and music downloading sites that made listening to music on your phone easy and fun even before the iPhone was released. Nowadays, “cell phone novels,” or keitai shousetsu are increasingly popular, and boys love/otome (for girls) titles are coming out left and right (ok, I admit my knowledge of how popular cell phone novels are is a bit dated, but I’m pretty sure their popularity hasn’t gone down in the past couple of years, anyway). Well, famed BL game company Nitro + CHiRAL (why they keep the “i” lower case I’ll never know) is capitalizing on Japan’s mobile phone culture with its new cell phone site, called “CHiRAL MOBiLE.” You can click the link to view the PC site, which details the various downloads the site will offer, but the whole thing won’t be up and running until December 16th. Or you could just stick around here and I’ll detail all the cool stuff us non-Japanese residents are missing out on, since it only works on Japanese phones! First of all, Nitro + CHiRAL announced, along with this service, an entirely new cell phone novel called World’s end Nightmare that will launch the same day as CHiRAL MOBiLE, with new chapters coming out every week on Tuesday and Thursday for an estimated total of 30 chapters. 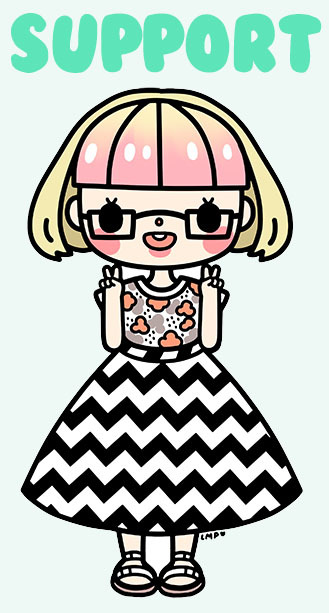 There isn’t much about the novel’s story available yet save the tagline “––A poor soul that has never known love. Let’s give him one more chance––” and a very short, vague description stating that the protagonist, Itto, was supposed to have died, but reawakens in an unfamiliar world. 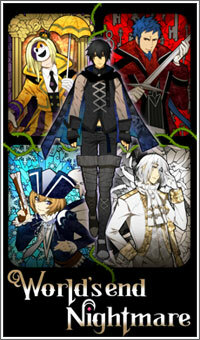 Below are the characters that have been revealed so far, from left to right: Itto, Faceless, Siegfried, Kai, and Baron. The story will feature at least some boys love elements, to be sure. Nitro + CHiRAL will also be releasing a mobile version of their popular game Togainu no Chi, as well as a visual novel version of a boys love CD drama titled Itsuwari no Alkanet. 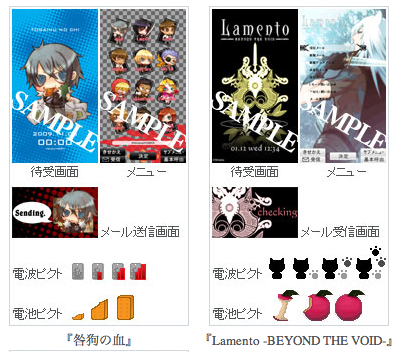 What you see before you is an array of “accessories” you can download at CHiRAL MOBiLE for Togainu no Chi and Lamento-BEYOND THE VOID-. The top left image is a wallpaper, while the top right is a menu screen, and then you have a text sending icon, signal bar, and battery display. So, if you’re big on BL and live in Japan, you can have your entire phone decked out with your favorite game or series! I’m sure they have things like this for all sorts of other famous games and anime, as well. 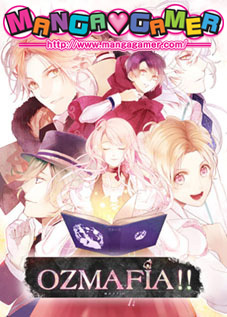 For those of you interested in World’s end Nightmare, I’d be more than happy to do translations of the character descriptions posted on the CHiRAL MOBiLE website… Just let me know if you’d like to see them and I’ll dedicate a post to it! I won’t bother doing the work unless there’s someone out there who will actually read them (or if I get a burst of idle creativity, but don’t count on it).